Allowing families to order School Supplies thru the PSO is a service we provide. It is not a fundraising event and requires only a few volunteers in August when the supplies arrive. Late Fall/Early Winter: Determine which supplies vendor will be used. 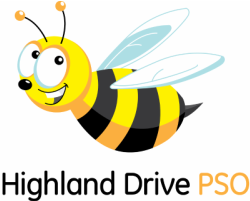 Highland Drive has used EPI (Educational Products Inc.) the past few years. In May 2011, this vendor began offering direct online purchasing with the use of a credit card. Jan/Feb: Distribute existing grade level supply lists to the respective teacher at each grade level. Mar/April: Confirm final revisions to current year lists and provide them to the vendor along with a signed contract. May/June: Advertise the program to purchase school supplies on the HD website and in the front lobby. Orders are handed in by families and retained in the front office. The order forms and payments can be picked up periodically from Mrs. Schultz. May: Determine the supplies pick up which will be held in August the week before school begins. Submit this date to the PSO President for inclusion in the master calendar. June: Submit final order to the vendor and forward checks/money orders to the PSO Treasurer to deposit. July: Forward vendor invoice to the PSO Treasurer and request payment. August: Recruit a handful of volunteers to assist with sorting the orders by grade level as well as distributing the packages on the supplies pick-up date. Send an email reminder via Mrs. Schultz so that maintenance is aware of delivery date.